If for whatever reason you don't have a ticket to Madonna's concert - they say there's still a few of them left in the box offices - don't despair! 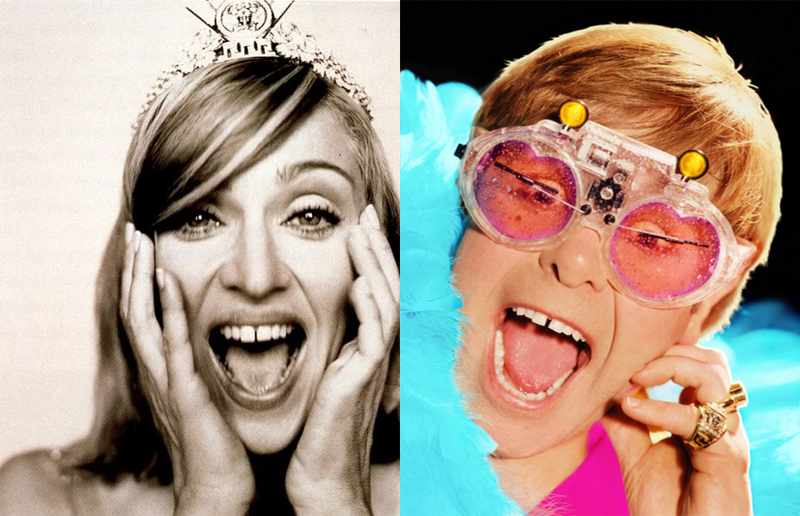 Madonna's arch-rival, her gap-toothed twin and a queen in his own right is coming to Yas Island on March 29th for a concert. Tickets for Elton John Abu Dhabi engagement are on sale now. Wonder if he is bringing his dancers with him? So, if you had a choice - a mediocre singer, but legendary performer in the scorcher of the desert summer or a superior singer and good performer in spring? There were no dancers for his Moroccan show, unfortunately. Oh, did you like his show? I actually did get tickets & looking 4ward to see him. A review will be in order then? !